Notice! Eftalia Aqua Resort does not accept reservations at this time. Please try again later. Eftalia Aqua Resort Contact. Right nearby the Mediterranean Sea, Eftalia Aqua Resort has an outdoor pool with water slides, spa facilities and private beach area. It offers air-conditioned rooms with a cable TV and balcony. The hotel offers variety of activities during the day. Also you can enjoy the night with karaoke facilities or night club of the hotel. The rooms at Aqua Resort Eftalia come with modern furnishings. They all feature a minibar. A safety deposit box is also standard. Daily breakfast is available in buffet style. You can taste Turkish, Ottoman and Italian cuisines at Eftalia Aqua Resort’s restaurants. The bars serve refreshing drinks and pastries. Spa facilities include a Turkish bath, sauna and massage services; fitness room is also available. You can play a game of darts and table tennis at Eftalia Aqua. There is also a children’s playground. Alanya town centre is less than 20 km from the hotel. 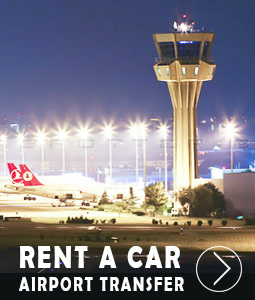 Antalya Airport is a 2-hour drive away. Free private parking is available on site. Eftalia Aqua Resort accepts VISA and reserves the right to temporarily hold an amount prior to arrival. Eftalia Aqua Resort accepts Master Card and reserves the right to temporarily hold an amount prior to arrival. Eftalia Aqua Resort accepts Maestro and reserves the right to temporarily hold an amount prior to arrival. Eftalia Aqua Resort accepts American Express and reserves the right to temporarily hold an amount prior to arrival. Eftalia Aqua Resort accepts Bank card and reserves the right to temporarily hold an amount prior to arrival. Eftalia Aqua Resort accepts ATM card and reserves the right to temporarily hold an amount prior to arrival. Free buffet meals in the morning, lunch and dinner. The brands that the facility has determined are free of local alcoholic and non-alcoholic beverages 24 hours a day. Foreign alcoholic drinks are charged. Guests staying for at least 7 nights can use one of the a la carte restaurants, once booked and free of charge. A la carte restaurants are on the beach. The minibar is filled with water (the person is not filled). Turkish coffee and squeezed fruit juices are paid. The disco is located on the coast. Disco entrance is free, drinks are chargeable. All guests staying in Eftalia Village and Eftalia Splash and Ultra All Inclusive Eftalia Aqua and Eftalia Marin Resort with all inclusive concept can use Eftalia Island concept which is a common beach area for these four facilities. 1 key is provided for each room without regard to room type. The entrance to the Eftalia Aqua rooms starts at 14.00. The departure time from the rooms is no later than 12.00. There are rooms for the handicapped. Tesise pet is not accepted. The use of open space that serves as a test is dependent on seasonal conditions. This is not even 1 star hotel. The staff are very rude. The food is absolutely netrousious. Something I wouldn't even feed my dog. Please becareful as staff are always trying to con money from the English telling you your room has been double booked only to pay an extra 50 euros to move to another room. The staff are very unhelpful. The life guards are to busy texting on there phones and not concentrating on the surroundings it's an accident waiting to happen. Toilet.💩 areas are discusting. They only cater for turkish and Russian. Please do not book with this hotel.